Paracetamol is a non-steroidal anti-inflammatory drug used as an antipyretic agent for the alternative to aspirin. Conversely, the overdoses of paracetamol can cause hepatic toxicity and kidney damage. Hence, the determination of paracetamol receives much more attention in biological samples and also in pharmaceutical formulations. Here, we report a rapid and sensitive detection of the paracetamol based on screen-printed modified electrode (SPE) with Cu nanocomplex (Cu) in pH=7.0. The paracetamol is not stable in strong acidic and strong alkaline media, and is hydrolyzed and hydroxylated. However, it is stable in intermediate pHs due to the dimerization of paracetamol. The kinetics of the paracetamol oxidation was briefly studied and documented in the schemes. In addition, the characterization of Cu nanocomplex was probed by Fourier transform infrared spectroscopy (FT-IR), X-ray diffraction (XRD), scanning electron microscopy (SEM), and energy dispersive X-ray spectroscopy (EDX). Moreover, the voltammetry determined the paracetamol with the linear concentration ranging from 10.0 to 1000.0 μM and the lower detection limit of 1.0 μM. This method was also successfully used to detect the concentration of paracetamol in pharmaceutical formulations and urine samples. The liver plays a pivotal role in regulating various physiological processes and is the center of metabolism of nutrients such as carbohydrates, proteins and lipids. It is also involved in the metabolism and excretion of drugs and other xenobiotics and provides protection against foreign substances by detoxifying and eliminating them [1,2]. As a result, the liver is exposed to all types of toxic abuse from both endogenous and exogenous sources which may produce liver degeneration. Liver diseases have become one of the major causes of morbidity and mortality in man and hepatotoxicity due to drugs appears to be the most common contributing factor . Paracetamol overdose can cause severe hepatotoxicity and nephrotoxicity. Paracetamol is activated and converted by cytochrome P450 enzymes to toxic metabolite NAPQI (N-acetyl-p-benzoquinoneimine) that causes oxidative stress and glutathione (GSH) depletion which is associated with its hepatotoxicity. In spite of the tremendous advances in modern medicine, there is no effective drug available that stimulates liver function, offers protection to the liver from damage or helps to regenerate hepatic cells [4-6]. chemiluminescence, capillary electrophoresis, spectrofluorimetry, high performance liquid chromatography- electrospray ionization-tandem mass spectrometry, thin layer chromatography, micellar electrokinetic chromatography, micellar electrokinetic capillary chromatography, gas chromatography–mass spectrometry-based profiling [7-15] and electrochemical techniques [16-18]. Spectrophotometric and chemiluminescence methods involve an extraction process before detection, and liquid chromatography is time consuming, making these methods unsuitable for routine analysis. Because paracetamol is an electroactive compound that can be electrochemically oxidized, electrochemical sensors represent an interesting alternative for its rapid determination and quantification [19-20]. Screen-printed electrodes (SPE) have attracted much more interest and challenged the conventional three-electrode system due to its various advantages such as simple fabrication, small size, disposability, easy mass production at low cost, fast speed, high efficiency, portability, low cost and small sample size, these are promising sensors for chemical analytes [21-25]. Furthermore, chemical modification of the screen printed electrochemical sensors can be employed to produce specific and selective electrode for a definite target analytes. 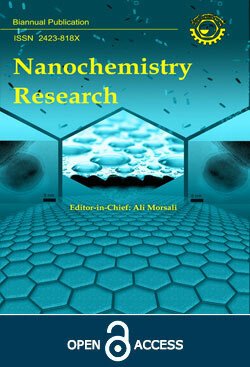 In recent years, nanomaterials as chemical modifier have attracted a lot of attention. Among the various nanomaterials, inorganic nanoparticles are extremely important in the development of sensors. Not only can they be easily synthesized, but also cheaply mass produced. For this reason, they can also be more readily integrated into a variety of applications. Recently, inorganic nanoparticles of different kinds and dimensions have become widely exploited as versatile and sensitive sensors or probes [26-35]. The main objective of designing inorganic nanoparticles is enhancement the sensitivity in bio-sensing applications, and greatly benefits from their small size where their properties are strongly influenced by increasing their surface area. Thus, the combination of inorganic nanoparticles and sensors is one of the most exciting areas in modern analytical detection development because they offer excellent prospects for designing highly sensitive and selective sensors [36-41]. The copper (II) ions are redox active and play a crucial role in catalytic sites of oxidoreductases. The cyclic redox process enables these ions to act as pro or antioxidants . Thus, in this paper, initially the preparation and suitability of a copper nanocomplex modified graphite screen printed electrode (Cu/SPE) as a new electrode in the electrocatalysis and determination of paracetamol in an aqueous buffer solution is described. Then, the analytical performance of the modified electrode in quantification of paracetamol is evaluated. Finally this new constructed electrochemical sensor is used for determination of paracetamol in real samples. Fourier transform infrared (FT-IR) spectra were recorded in transmission mode with a Perkin Elmer BX FT-IR infrared spectrometer. FT-IR spectra in the range of 4000–400 cm-1 were recorded in order to investigate the nature of the chemical bonds formed. SEM images of the samples were collected on JSM, 6380 LV equipped with an EDX microanalysis. The electrochemical measurements were performed with an Autolab potentiostat/galvanostat (PGSTAT 302N, Eco Chemie, the Netherlands). The experimental conditions were controlled with the General Purpose Electrochemical System (GPES) software. The screen-printed electrode (DropSens, DRP-110, Spain) consists of three main parts which are a graphite counter electrode, a silver pseudo-reference electrode and a graphite working electrode. A Metrohm 710 pH meter was used for pH measurements. Paracetamol and all other reagents were analytical grade, and were obtained from Merck (Darmstadt, Germany), and the orthophosphoric acid and its salts were used to prepare buffers in the pH range of 2.0–9.0. Salophen ligand was synthesized similar to a previously described method . Cu(II) nanocomplex is prepared by a facile low-temperature (<100 ºC) synthesis route at atmospheric pressure via reaction of salophen ligand and copper chloride under reflux. Typically, CuCl2.6H2O (1 mmol), salophen ligand (1 mmol) and methanol (20 ml) were mixed and sonicated (2 h, 60 ºC). The obtained green solid was further purified by two-step processes using double solvent extraction with water and methanol. The solid was finally dried in a vacuum desiccator at 80 ºC for 2 h prior to a further analysis or use. The bare graphite screen printed electrode was coated with Cu(II) nanocomplex as follows. A stock solution of Cu(II) nanocomplex in 1 ml aqueous solution was prepared by dispersing 1 mg Cu(II) nanocomplex with ultrasonication for 1 h, and a 5 µl aliquot of the Cu(II) nanocomplex/H2O suspension solution was casted on the carbon working electrodes, and waiting until the solvent was evaporated in room temperature. Five paracetamol tablets (labeled 300 mg per tablet, Amin Pharmaceutical Company, Iran) were grinding. Then, the tablet solution was prepared by dissolving 300 mg of the powder in 25 mL water by ultrasonication. Then, different volumes of the diluted solution were transferred into a 25 mL volumetric flask and diluted to the mark with PBS (pH 7.0). The paracetamol content was analyzed by the proposed method using the standard addition method. The urine specimens were kept in a refrigerator after sampling. To prepare the test samples, 10 millilitres of these were taken or centrifuged at 2000 rpm for 15 min. After filtering the supernatant with a 0.45 µm filter, different volumes of it were diluted in 25 mL volumetric flasks using PBS (pH=7.0). The diluted urine sample was spiked with different amounts of paracetamol. FT-IR spectra provide valuable information about the coordination behavior of the ligands with the copper ion. The FT-IR spectrum of Cu nanocomplex exhibits the characteristic bands of (O-H), (C=N), (C=C), (C-O) and (C-H) appearing at 3358-3086, 1668-1609, 1503, 1293-1053 and 846, 762, 629 cm-1, respectively (Fig. 1). Also, the spectra of Cu nanocomplex show new absorptions in the region of 495 and 440 cm-1 attributable to the Cu-N and Cu-Cl stretching mode . The morphology of the product was examined by SEM. Fig. 2 depicts the SEM pictures of Cu nanocomplex. From the graph, it was observed that the Cu nanocomplex, which are plate, are not agglomerated and they are seen as less than 45 nm. confirm the composition of the obtained products. Fig. 3 shows that the products are composed of Cu and Cl. Due to the fact that the electrochemical behaviour of paracetamol is pH-dependent, optimizing the pH of the solution is necessary for obtaining the best results. Furthermore, the results showed that the best results during the electro-oxidation of paracetamol at the surface of the modified electrodes could be obtained at pH=7. Fig. 4 illustrates the cyclic voltammograms of a 1000.0 μM paracetamol obtained using Cu/SPE (Curve a) and an unmodified SPE (Curve b). As it can be easily noticed, the maximum oxidation of paracetamol occurs at 300 mV in the case of Cu/SPE that is around 200 mV more negative than that observed in the case of the unmodified SPE. Fig. 5 illustrates the effects of potential scan rates on the oxidation currents of paracetamol, indicating that increasing the scan rate has increased the peak currents. Also, based on the fact that the plot of Ip against the square root of the potential scan rate (ν1/2) for paracetamol was linear, it was concluded that the oxidation process is diffusion controlled. Further Tafel curve of paracetamol was plotted using the data from the rising sections (i.e. the Tafel regions) of the current–voltage curves obtained at 10 mVs−1 (Fig. 6). The Tafel regions of the current potential curve is influenced by the electron transfer kinetics of the electrode reactions. The results showed Tafel slope of 0.1716 V, which indicates one electron (Fig. 6) rate determining step (RDS) for the electrode process  for charge transfer coefficient (α) of 0.65.
where D and Cb are the diffusion coefficient (cm2 s-1) and the bulk concentration (mol cm−3), respectively. Experimental plots of I vs. t−1/2 were employed with the best fits for different concentrations of paracetamol (Fig. 7A). The slopes of the resulting straight lines were then plotted vs. paracetamol concentration (Fig. 7B). From the resulting slope and Cottrell equation the mean value of the D was found to be 1.05 × 10−6 cm2/s. The peak currents obtained for paracetamol using the Cu/SPE were used for the quantitative analysis of the paracetamol in water solutions. Given the advantage of differential pulse voltammetry (DPV) in terms of improved sensitivity and better characteristics for analytical applications, the modified electrode was used as the working electrode in DPV analyses in a range of paracetamol solutions in 0.1 M PBS, and the results (Fig. 8) show that there is a linear relation between the peak currents and concentrations of paracetamol over the concentration range of 10.0-1000.0 µM (with a correlation coefficient of 0.9994), and a detection limit (3σ) of 1.0 µM was obtained. To assess the applicability of the modified electrode for the determination of paracetamol in real samples, the described method was applied to the determination of paracetamol in paracetamol tablets and urine samples. For the purpose of this analysis, the standard addition method was used and the results are given in Table 1. The observed recovery of paracetamol was satisfactory and the reproducibility of the results was demonstrated based on the mean relative standard deviation (R.S.D.). A Cu nanocomplex modified SPE was successfully fabricated. Compared with bare SPE, the responses of Cu/SPE were significantly enhanced. The reason is the increase of the electrochemical active surface area and the conductivity of the electrode by introducing Cu nanocomplex. Additionally, the Cu/SPE exhibited an excellent electrocatalytic activity for paracetamol oxidation in neutral aqueous media. The excellent catalytic ability of the modified electrode was attributed to the effect of Cu nanocomplex, which would accelerate electron transfer. The Cu/SPE was applied to the determination of paracetamol in real samples with satisfactory results. 1. Kisaoglu A, Ozogul B, Turan MI, Yilmaz I, Demiryilmaz I, Atamanalp SS, et al. Damage induced by paracetamol compared with N-acetylcysteine. Journal of the Chinese Medical Association. 2014;77(9):463-8. 2. Ogbonnaya E, Uanseoje S, Ojeaburu S. Effect of Gongronema Latifolium Leaves Ethanolic Extract on Paracetamol-Induced Hepatotoxicity in Rats. Journal of Physiology and Pharmacology Advances. 2014;4(2):337-41. 3. El-Sayed E-SM, Mansour AM, Nady ME. Protective Effects of Pterostilbene against Acetaminophen-Induced Hepatotoxicity in Rats. Journal of Biochemical and Molecular Toxicology. 2015;29(1):35-42. 4. Karimi-Maleh H, Moazampour M, Ahmar H, Beitollahi H, Ensafi AA. A sensitive nanocomposite-based electrochemical sensor for voltammetric simultaneous determination of isoproterenol, acetaminophen and tryptophan. Measurement. 2014;51:91-9. 5. Singh MP, Kim KY, Kim H-Y. Methionine sulfoxide reductase A deficiency exacerbates acute liver injury induced by acetaminophen. Biochemical and Biophysical Research Communications. 2017;484(1):189-94. 6. Hou X, Shen G, Meng L, Zhu L, Guo M. Multi-walled carbon nanotubes modified glass carbon electrode and its electrocatalytic activity towards oxidation of paracetamol. Russian Journal of Electrochemistry. 2011;47(11):1262-7. 7. Khodaveisi J, Dadfarnia S, Haji Shabani AM, Rohani Moghadam M, Hormozi-Nezhad MR. Artificial neural network assisted kinetic spectrophotometric technique for simultaneous determination of paracetamol and p-aminophenol in pharmaceutical samples using localized surface plasmon resonance band of silver nanoparticles. Spectrochimica Acta Part A: Molecular and Biomolecular Spectroscopy. 2015;138:474-80. 8. Şener G, Toklu HZ, Şehirli AÖ, Velioğlu-Öğünç A, Çetinel S, Gedik N. Protective effects of resveratrol against acetaminophen-induced toxicity in mice. Hepatology Research. 2006;35(1):62-8. 9. Cunha RR, Ribeiro MMAC, Muñoz RAA, Richter EM. Fast determination of codeine, orphenadrine, promethazine, scopolamine, tramadol, and paracetamol in pharmaceutical formulations by capillary electrophoresis. Journal of Separation Science. 2017;40(8):1815-23. 10. Moreira AB, Dias ILT, Neto GO, Zagatto EAG, Kubota LT. Simultaneous Spectrofluorimetric Determination of Paracetamol and Caffeine in Pharmaceutical Preparations in Solid‐Phase Using Partial Least Squares Multivariate Calibration. Analytical Letters. 2006;39(2):349-60. 11. Cook SF, King AD, van den Anker JN, Wilkins DG. Simultaneous quantification of acetaminophen and five acetaminophen metabolites in human plasma and urine by high-performance liquid chromatography–electrospray ionization–tandem mass spectrometry: Method validation and application to a neonatal pharmacokinetic study. Journal of Chromatography B. 2015;1007:30-42. 12. Klimek-Turek A, Sikora M, Rybicki M, Dzido TH. Frontally eluted components procedure with thin layer chromatography as a mode of sample preparation for high performance liquid chromatography quantitation of acetaminophen in biological matrix. Journal of Chromatography A. 2016;1436:19-27. 13. Németh T, Jankovics P, Németh-Palotás J, Kőszegi-Szalai H. Determination of paracetamol and its main impurity 4-aminophenol in analgesic preparations by micellar electrokinetic chromatography. Journal of Pharmaceutical and Biomedical Analysis. 2008;47(4–5):746-9. 14. Emre D, Özaltın N. Simultaneous determination of paracetamol, caffeine and propyphenazone in ternary mixtures by micellar electrokinetic capillary chromatography. Journal of Chromatography B. 2007;847(2):126-32. 15. Xiong Y-H, Xu Y, Yang L, Wang Z-T. Gas chromatography–mass spectrometry-based profiling of serum fatty acids in acetaminophen-induced liver injured rats. Journal of Applied Toxicology. 2014;34(2):149-57. 16. Jia L, Zhang X-H, Li Q, Wang S-F. Determination of acetaminophen by square wave voltammetry at a gold electrode modified by 4-amino-2-mercaptopyrimidine self-assembled monolayers. Journal of Analytical Chemistry. 2007;62(3):266-9. 17. de Holanda LF, Ribeiro FWP, Sousa CP, da Silva Casciano PN, de Lima-Neto P, Correia AN. Multi-walled carbon nanotubes–cobalt phthalocyanine modified electrode for electroanalytical determination of acetaminophen. Journal of Electroanalytical Chemistry. 2016;772:9-16. 18. Aliabadi A, Rounaghi GH, Arbab Zavar MH. A new droplet-based polymeric banana electrochemical biosensor for analysis of one microliter solution of paracetamol. Sensors and Actuators B: Chemical. 2017;241:182-9. 19. Brahman PK, Suresh L, Lokesh V, Nizamuddin S. Fabrication of highly sensitive and selective nanocomposite film based on CuNPs/fullerene-C60/MWCNTs: An electrochemical nanosensor for trace recognition of paracetamol. Analytica Chimica Acta. 2016;917:107-16. 20. Valentini F, Ciambella E, Conte V, Sabatini L, Ditaranto N, Cataldo F, et al. Highly selective detection of Epinephrine at oxidized Single-Wall Carbon Nanohorns modified Screen Printed Electrodes (SPEs). Biosensors and Bioelectronics. 2014;59:94-8. 21. Arduini F, Zanardi C, Cinti S, Terzi F, Moscone D, Palleschi G, et al. Effective electrochemical sensor based on screen-printed electrodes modified with a carbon black-Au nanoparticles composite. Sensors and Actuators B: Chemical. 2015;212:536-43. 22. Cumba LR, Smith JP, Brownson DA, Iniesta J, Metters JP, do Carmo DR, et al. Electroanalytical detection of pindolol: comparison of unmodified and reduced graphene oxide modified screen-printed graphite electrodes. Analyst. 2015;140(5):1543-50. 23. Derkus B, Emregul KC, Emregul E. Evaluation of protein immobilization capacity on various carbon nanotube embedded hydrogel biomaterials. Materials Science and Engineering: C. 2015;56:132-40. 24. Abdel-Rahman LH, Abu-Dief AM, Newair EF, Hamdan SK. Some new nano-sized Cr(III), Fe(II), Co(II), and Ni(II) complexes incorporating 2-((E)-(pyridine-2-ylimino)methyl)napthalen-1-ol ligand: Structural characterization, electrochemical, antioxidant, antimicrobial, antiviral assessment and DNA interaction. Journal of Photochemistry and Photobiology B: Biology. 2016;160:18-31. 25. Kazemipour M, Ansari M, Mohammadi A, Beitollahi H, Ahmadi R. Use of adsorptive square-wave anodic stripping voltammetry at carbon paste electrode for the determination of amlodipine besylate in pharmaceutical preparations. Journal of Analytical Chemistry. 2009;64(1):65-70. 26. El-Nagar GA, Darweesh AF, Sadiek I. A novel nano-palladium complex anode for formic acid electro-oxidation. Electrochimica Acta. 2016;215:334-8. 27. Mazloum-Ardakani M, Beitollahi H, Amini MK, Mirkhalaf F, Mirjalili B-F, Akbari A. Application of 2-(3,4-dihydroxyphenyl)-1,3-dithialone self-assembled monolayer on gold electrode as a nanosensor for electrocatalytic determination of dopamine and uric acid. Analyst. 2011;136(9):1965-70. 28. Hong J, Zhao Y-X, Xiao B-L, Moosavi-Movahedi A, Ghourchian H, Sheibani N. Direct Electrochemistry of Hemoglobin Immobilized on a Functionalized Multi-Walled Carbon Nanotubes and Gold Nanoparticles Nanocomplex-Modified Glassy Carbon Electrode. Sensors. 2013;13(7):8595. 29. Tajik S, Taher MA, Beitollahi H. First Report for Electrochemical Determination of Levodopa and Cabergoline: Application for Determination of Levodopa and Cabergoline in Human Serum, Urine and Pharmaceutical Formulations. Electroanalysis. 2014;26(4):796-806. 30. Beitollahi H, Sheikhshoaie I. Electrochemical behavior of carbon nanotube/Mn (III) salen doped carbon paste electrode and its application for sensitive determination of N-acetylcysteine in the presence of folic acid. Int J Electrochem Sci. 2012;7:7684-98. 31. Mashayekhi Shams P, Seyed Sadjadi M, Banaei A. A Study of the Influence of Percentage of Copper on the Structural and Optical Properties of Au-Cu Nanoparticle. Nanochemistry Research. 2016;1(2):143-9. 32. Karimi-Maleh H, Keyvanfard M, Alizad K, Fouladgar M, Beitollahi H, Mokhtari A, et al. Voltammetric determination of N-actylcysteine using modified multiwall carbon nanotubes paste electrode. Int J Electrochem Sci. 2011;6(12):6141-50. 33. Mazloum-Ardakani M, Naser-Sadrabadi A, Khoshroo A. Oxidized multi walled carbon nanotubes for improving the electrocatalytic activity of a benzofuran derivative modified electrode. Nanochemistry Research. 2016;1(1):70-8. 34. Lashgari N, Badiei A, Mohammadi Ziarani G. Modification of mesoporous silica SBA-15 with different organic molecules to gain chemical sensors: a review. Nanochemistry Research. 2016;1(1):127-41. 35. Mazloum-Ardakani M, Beitollahi H, Ganjipour B, Naeimi H. Novel carbon nanotube paste electrode for simultaneous determination of norepinephrine, uric acid and d-penicillamine. Int J Electrochem Sci. 2010;5:531-46. 36. Chen J, Huang B, Zhan S, Ye J. A trinuclear copper(I) complex modified Au electrode based on a nonelectrocatalytic mechanism as hydrogen peroxide sensor. Journal of Electroanalytical Chemistry. 2015;759, Part 2:194-200. 37. Beitollahi H, Taher MA, Ahmadipour M, Hosseinzadeh R. Electrocatalytic determination of captopril using a modified carbon nanotube paste electrode: Application to determination of captopril in pharmaceutical and biological samples. Measurement. 2014;47:770-6. 38. Karimi-Maleh H, Ensafi AA, Beitollahi H, Nasiri V, Khalilzadeh MA, Biparva P. Electrocatalytic determination of sulfite using a modified carbon nanotubes paste electrode: application for determination of sulfite in real samples. Ionics. 2012;18(7):687-94. 39. Palanisamy S, Kokulnathan T, Chen S-M, Velusamy V, Ramaraj SK. Voltammetric determination of Sudan I in food samples based on platinum nanoparticles decorated on graphene-β-cyclodextrin modified electrode. Journal of Electroanalytical Chemistry. 2017;794:64-70. 40. Beitollahi H, Karimi-Maleh H, Khabazzadeh H. Nanomolar and Selective Determination of Epinephrine in the Presence of Norepinephrine Using Carbon Paste Electrode Modified with Carbon Nanotubes and Novel 2-(4-Oxo-3-phenyl-3,4-dihydro-quinazolinyl)-N′-phenyl-hydrazinecarbothioamide. Analytical Chemistry. 2008;80(24):9848-51. 41. Ibrahim OB, Mohamed MA, Refat MS. Nano sized schiff base complexes with Mn (II), Co (II), Cu (II), Ni (II) and Zn (II) metals: synthesis, spectroscopic and medicinal studies. Can Chem Trans. 2014;2:108-21. 42. Adão P, Costa Pessoa J, Henriques RT, Kuznetsov ML, Avecilla F, Maurya MR, et al. Synthesis, Characterization, and Application of Vanadium−Salan Complexes in Oxygen Transfer Reactions. Inorganic Chemistry. 2009;48(8):3542-61. 43. Bard AJ, Faulkner LR. Fundamentals and applications. Electrochemical Methods. 2001;2.